Learn the best breastmilk storage guidelines for brand new moms. 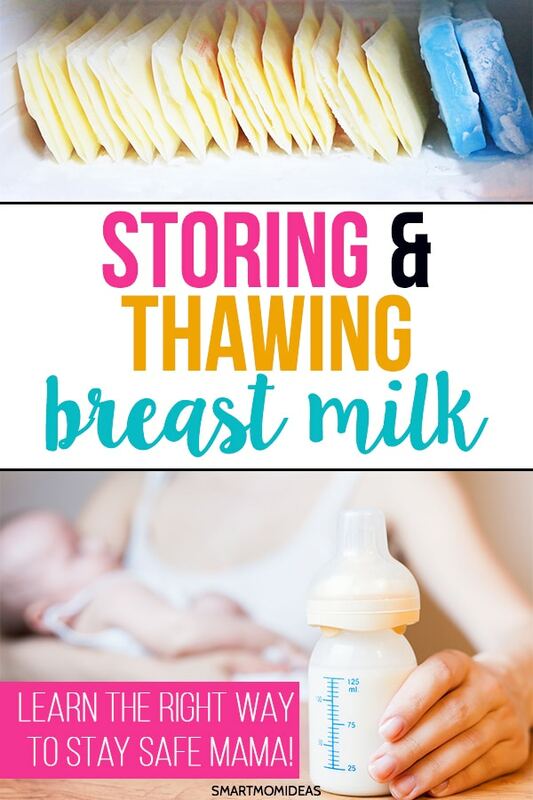 Are you a new mom heading back to work and wondering the best ways to store and thaw your breast milk for your baby? Maybe you’re overwhelmed with the approaching transition from breast to bottle or just bombarded with tons of questions in your research. You want to be safe when storing breast milk as this is the rich food source for your newborn. So proper care is of the top priority for moms. But, this leaves you worried and unsure. When my twins were around four months old, we moved across the country and I had to figure out a way to store my breast milk as I traveled on a six-hour flight with twins! I know that being a new mommy is not easy. Your little one needs to eat a whole lot! Switching from the breast to bottle feeding can be a whole lot harder than it should be if you don’t plan in advance. I want to help simplify your life and point you in the right direction. If you’re a working mom or about to travel, you’ll need a set up for breast milk expression. A breast pump bag is the perfect solution to store your pumping parts and any other things for milk expression. In order to prevent the spread of germs and contaminants, be sure to wash your hands with soap and water each time before pumping. The pump, pump parts, bottles as well as the area where you’re pumping should be clean. To ensure you’re pumping milk safely, use a hands free pumping bra. When beginning to store your milk, you’ll have breastmilk liner bags to store also. Make sure they are in a sanitized place too. What Type Of Storage Containers Should I Use? What you use to store breast milk in the fridge or freezer will generally fall under baby bottles or breast milk storage bags. If you use bottles, make sure they are from the same company as your breast pump. The smaller storage bottles were what we used in the beginning. Since I had low milk production, this was enough for me to store my milk until I boosted my milk production. If you’re baby is drinking more than 2.7 ounces at a time, move up to 5 ounces. Or, you can grab 8 ounce bottles. If you plan to freeze your breastmilk, then breast milk liner bags are your best option since they take up less space in your freezer than bottles. After expressing milk, transfer the breastmilk into clean liner bags or clean bottles. Make sure to leave an inch at the top of the liner bags since the milk will expand after it is frozen. It’s best to store your breastmilk in 2-4 ounce portions in the bottle or bag. This means it will take a shorter amount of time for it to thaw when you need it. Label each bag with the date in the center of the bag (not on the top flap). Your breastmilk can be stored in the freezer anywhere from four to six months. Place the milk on the very back of your freezer where the temperature is the coldest. Do not place it on the door. Take it out when you’re ready to heat it and serve it to your baby. Do not add warm breast milk to frozen breast milk. When you mix breast milk, both portions should always be the same temperature. If you’re planning to use the breast milk you’ve stored in the freezer within the next 24 hours, go ahead and take it out of the freezer and place it in your refrigerator (not on the door). It needs a full 24 hours to thaw in the fridge. Once that 24 hours has passed, run warm water in the bag or bottle and plan to use it within 24 hours. You can also thaw the breastmilk from the freezer to use immediately. Just take the bag or bottle of milk from the back of your freezer and run warm water on it until it comes becomes room temperature. One thing you don’t want to do is refreeze the breastmilk once you’ve thawed it from the freezer. DO NOT thaw or heat the breastmilk in the microwave as it can become overheated and hurt baby and destroy the milks nutrient properties. You also DO NOT want to heat the milk in boiling water either in the bottle or the milk storage bags. 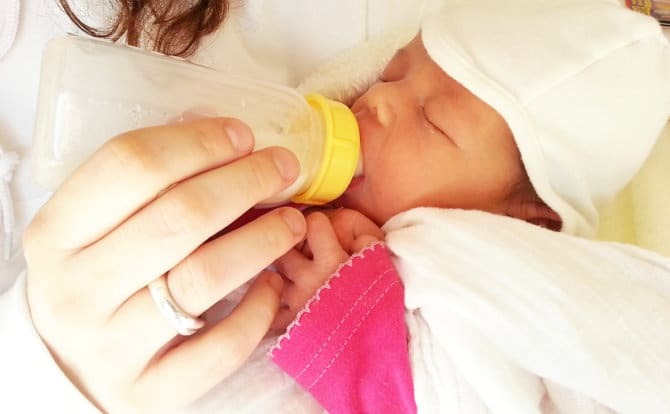 My twins were breastfeed and bottle-fed and during the night we also used bottles (so that my husband could help me out). I didn’t want to get a bottle warmer and add to the huge list of baby essentials, so I just ended up using my crockpot to warm our bottles. If your crockpot is too big, just pick up a smaller crockpot and it will do the job perfectly! This saved precious minutes to warm two bottles via a mug of warm water or running it in warm water to feed our twins! If you plan to store your breast milk in the fridge rather than the freezer, freshly expressed breast milk can be stored in the fridge for up to 3 days. Remember that when you’re thawing it in the fridge from the freezer, it should only be left in the fridge for 24 hours. What if you’re a working mom that works long periods of time like 8 or more hours a day? What if you want to or have to travel with your newborn? If you’re away from home and your baby, you can still pump and save breastmilk without missing a beat! Seriously…breast engorgement is no fun. As a breastfeeding mom, you have to breastfeed or pump consistently to avoid engorgement. Talk to your lactation specialist about how often to pump. You can use ice packs to keep the breast milk cold until you return home to put it in the fridge. If you pump frequently throughout the day and you’re storing many small portions of milk in the refrigerator, make sure to allow it to cool before mixing it with milk portions that have already been cooled in the fridge. In other words, don’t mix the warm fresh breastmilk you’ve expressed with the milk in the fridge before it has had the time to cool. Every woman’s breastmilk is different depending on her diet. So don’t be surprised to discover that your stored breast milk color is different from another mom or does not look the same as it did for you a few weeks ago. Good breastmilk, when first pumped will have its fat rise to the top. You can swirl the bottle to mix it back again. But, if your breast milk has gone rancid it will not do that. Instead, there might be chunks floating around or it may smell sour. New and experienced mommies alike want to dodge the stress-ball whenever possible, right? When it comes to preparing to return to work, you’ll make the transition a whole lot easier if you can plan at least 3 months in advance to begin pumping and storing your milk. Especially if you’re currently breastfeeding exclusively. Planning and storing as much breast milk as you can in advance is the best way to go. But as you begin expressing and storing milk for the time you’ll be away from your baby, try not stress. 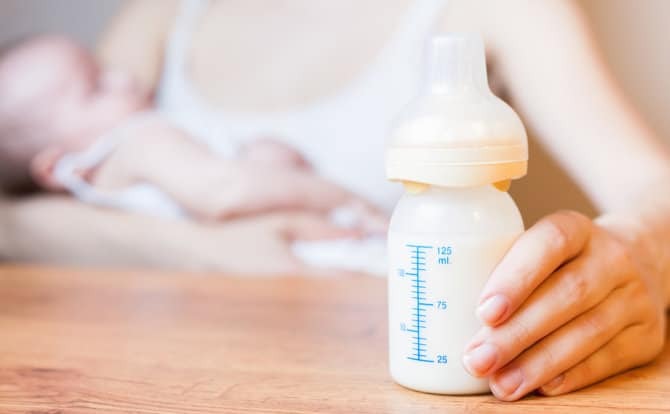 As time goes on, you’ll get a better feel for how much your baby eats when you’re away and how much milk is ideal to pump during each session. I know, mama. We mothers feel a wide range of emotions after giving birth. Feelings that can often be overwhelming. But you’ll do fine! Now it’s your turn! 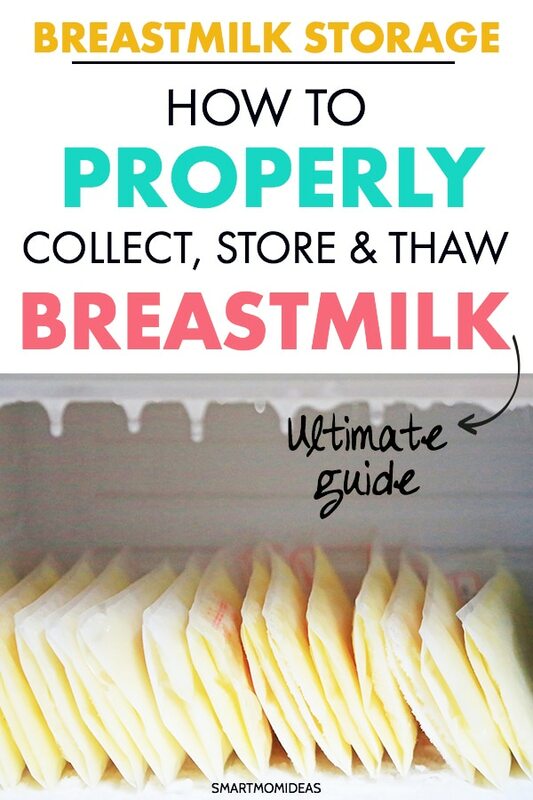 Any of you experienced moms out there have tips to share with on how to thaw and store breast milk? 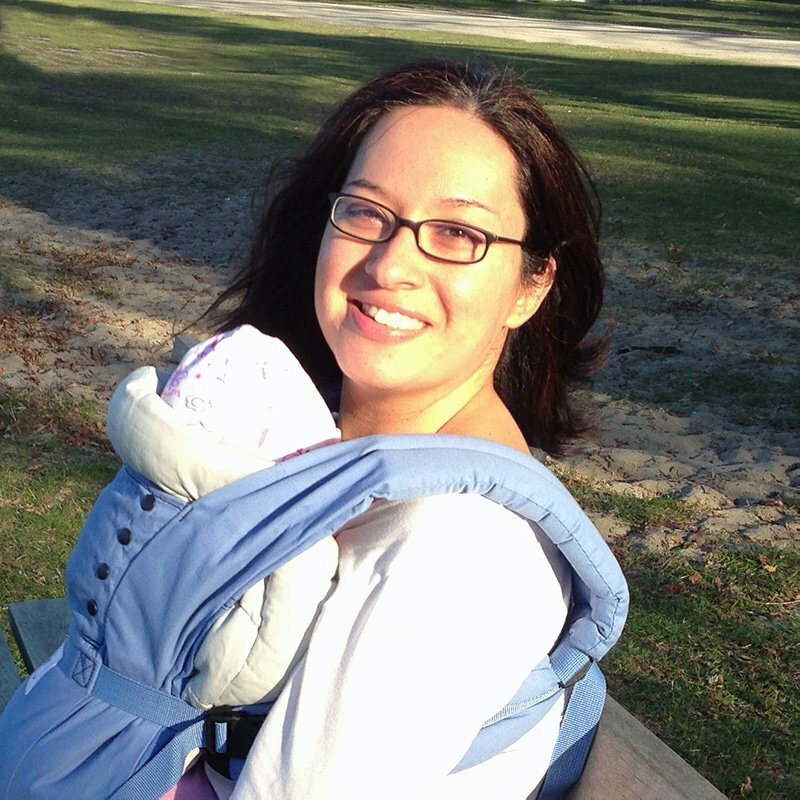 I’d love to also hear your tips on how making the transition easier for new moms! Can you explain more about the crockpot? How it’s different then using a mug with hot water? Do you leave it on all the time? So this was twins multiplied by I can’t remember how many bottles but a lot! We eventually left the crockpot on 24/7 once I figured out the perfect time it was a no brainer. Put bottles in, set timer, walk away. The temp was always the same. The bottles were always the perfect temp and trust me my daughter would tell me if they weren’t! Hubby could always help. It was a dream! Probably wasted some electricity which I wasn’t too happy about, and the crockpot was ruined after, but some times you gotta do what you gotta do. Why can’t yiu mix warm breast milk with cold milk that’s been in the fridge? I’m a first time mom and I just started pumping and I’m pumping throughout the day and putting it all into one bag per day. Why should we label the freezer bag in the center versus the tab on top? I find it easier to have the label in the center of the bag rather than the top.